NoNox emulsion fuel system for marine applications, improves engine efficency, reduces NOx, reduces fuel consumption, no surfactants. With flow ratings ranging from 25 GPH to 2000 GPH and upward, Nonox marine emulsion combustion units can significantly reduce fuel consumption while helping to bring your ships into compliance with MARPOL 73/78 Annex VI, the U.S. Clean Air Act, the E.U. Emissions Standards, and the Asian Standards. Nonox enables you to reduce fuel consumption and cut pollution concurrent with maintaining maximum power. 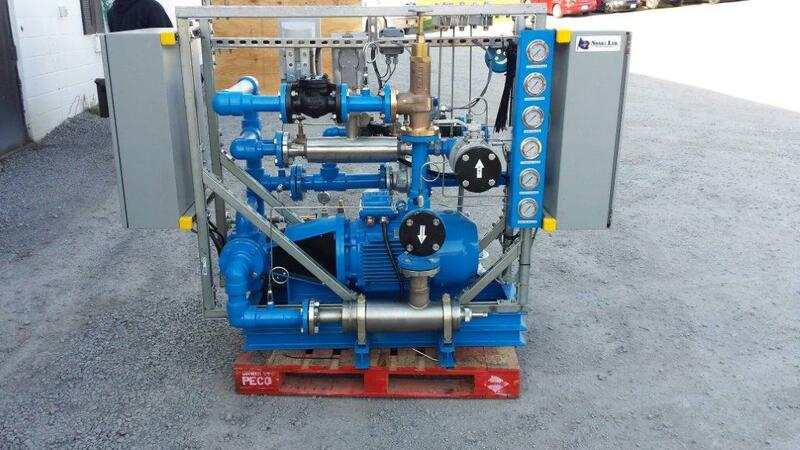 Nonox emulsion combustion units install in your engine room requiring no modifications to your engines or generators, needing only a power source, and a potable water source up to 20% of your hourly burn rate. In most cases, installation can be accomplished with little or no downtime. Systems scale from 25 GPH to 2000GPH and upward. 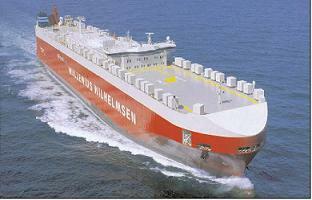 Nonox Ltd., manufacturer and licensor of the Nonox emulsion combustion unit (ECU) real-time water-in-oil emulsion fuel system has implemented Nonox emulsion combustion units (ECU) aboard, the Wallenius Wilhelmsen M/V Tortugas and M/V Taiko. M/V Tortugas is driven by a Mitsubishi-UE 7UEC60LSII engine at an impressive 19 knots and has also been equipped with the latest in environmentally sound technology designed to reduce emissions into the air and the sea. MV Tarago is a new generation Mark IV RoRo ship with a groundbreaking design. 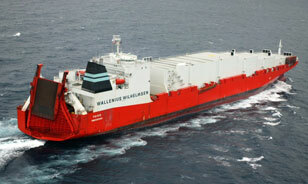 The Mark IV RoRo provides 35% more covered capacity for specialised RoRo cargo than the previous Mark III design. MV Tarago is a sister ship to MV Talisman, MV Tamesis and MV Tamerlane. The main engine is a MAN B&W 8L70MC (MK5) marine diesel with constant pressure supercharging and maximum output of 28480 BHP/20960 KW. For the electrical power supply there are 5, 4-stroke MAN B&W Holeby Diesels units, 2 each 1710 BHP, 3 each 2280 BHP. Having selected ships that are very well equipped for accurate monitoring, further significant emissions and fuel efficiencies are being discovered and achieved by the integration of Nonox Emulsion Fuel Systems which produce and consume a water-in-oil emulsion fuel in real-time affecting a cleaner more efficient burn. "Since first installing the ECU on board Tortugas we are seeing positive trends with regards to reduced fuel oil consumption, cleaner inside engine, economizer and boiler and reduced NOx-emissions." M/V Tortugas, M/V Taiko and M/V Tarago are owned by Wilh. 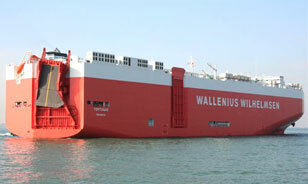 Wilhelmsen and operated by a subsidiary, Wilhelmsen Line Car Carriers Ltd. in Southampton UK.